Despite this tweet’s joviality attention has been focused on the viewing figures for such events. BT’s Champions League deal also robs viewers of free to air highlights via ITV. The Barcelona vs PSG game was available to stream for free, and legally as it was one of BT’s free offerings on BT Showcase (Sky does something similar with the English Premier League (EPL) and Sky Sports Mix), but the company neglected to advertise the fact before the match. Before agreeing to sell the rights to BT again for an increase of £285 million on the previous deal, UEFA has previous expressed concern over viewing numbers in April 2016, and in February 2016 it was reported that the decision to show free-to-air games was a condition of the deal set by UEFA’s marketing department. Football place behind a paywall is nothing new of course. Since 1992 Sky has owned the rights to broadcast the EPL either outright as the sole broadcaster, or with other broadcasters but remaining the most dominant in terms of games shown. The purchase of the football rights was originally meant as a loss-leader in order to drive up satellite TV subscriptions but has done so much more than this. It has led to the hyper-commercialisation of football in England in what began as just 60 games on subscription TV for £191 million (£362 million in today’s money); it is now at a peak of 168 games at a cost of £5.1 billion to Sky and BT. This post is predominantly about TV, and yes the EPL does sell its mobile rights separately, but currently in the UK these belong to News UK. They are the publishers of The Sun, The Times and The Sunday Times, and are both ultimately owned by Rupert Murdoch (he owns 39% of Sky but has submitted a bid to gain control of the company, and this deal has been referred to the regulator). This demonstrates that there are significant barriers to entry for broadcasting elite sport. Other companies have tried to break the stranglehold of Sky in the past. Setanta tried to compete in 2006 purchasing some of the rights to a number of sports including the EPL but eventually went bust in 2009 whilst it struggled to maintain the expenditure needed to remain competitive. Even large US broadcasters have found it difficult. The Disney owned ESPN picked up the rights that Setanta once held and was part of the broadcasting picture until BT beat them in the 2012 auction. These major players battling it out for the perceived jewel of the elite sport crown has only caused costs to spiral upwards and stifled competition. These prices are just for the EPL, and does not include cup matches, league and cup matches from other countries, or pan-European elite competitions. Football on TV has reached saturation point. The scarcity which was used to drive subscriptions has turned to plenitude, and the choice of what to watch is immense but it’s not led to high viewing figures. What About us, the Fans? If you take a look at the BARB highlights from the last week of December until late February and the dilemma for paid for content becomes startlingly clear. Sky Sports biggest viewership during this timeframe was when Manchester United played Liverpool on 15 January 2017, 2.05 million people tuned in. Of the 25 games which entered BARB’s top 30 programmes on ‘other’ broadcasters 13 of Sky Sports games broke 1 million viewers. BT Sport on the other hand only had 10 games make this list and only two got more than 1 million viewers. Their highest was Liverpool versus Manchester City on 31 December 2016. Putting this into context programmes like MTV’s Ex on the Beach, CBeeBies shows Go Jetters and Peter Rabbit, and British History’s Biggest Fibs on BBC4 are some of the outputs which fared better than BT’s football broadcasts by way of ratings. The picture looks even worse if you compare coverage of the FA Cup on BT Sport versus the figures for BBC 1. The BBC 1 coverage of West Ham versus Man City game on 6 January 2017 was viewed by 4.23 million viewers. This is more than BT Sport’s audience figures for the FA Cup games Manchester United versus Reading (0.74 million), and Preston North End versus Arsenal (0.66 million) combined. That said the paid for broadcasters have attempted to attract more viewers by varying the formats of their coverage. Sky Sports for instance use their Monday Night Football to allow for a much deeper discussion and tactical analysis. On the other hand Sky Sports also took up the option to show Friday Night Football. This featured Countdown’s Rachel Riley and Soccer Saturday’s Jeff Stelling in a much less cerebral offering. Friday Night Football was more of a Soccer AM in the evening where banter was encouraged, and guests attempted the casual look by not wearing ties and loosening their shirts. Unfortunately for Sky the idea has been seen as a failure. The fans weren’t taken in by the new novelty of televised football on a Friday night, as evidenced by the first Friday night offering featuring Manchester United garnered 811,000 viewers. This is much lower than some of the matches listed above, and Sky’s reaction is perhaps the most telling. There have been no Friday night matches since 30 December, and none are listed for March or April. These massive broadcast deals do however make everything look rosy, but paying billions of pounds for football needs to be paid for somehow. This is partly falling on the viewer by way of subscription costs. 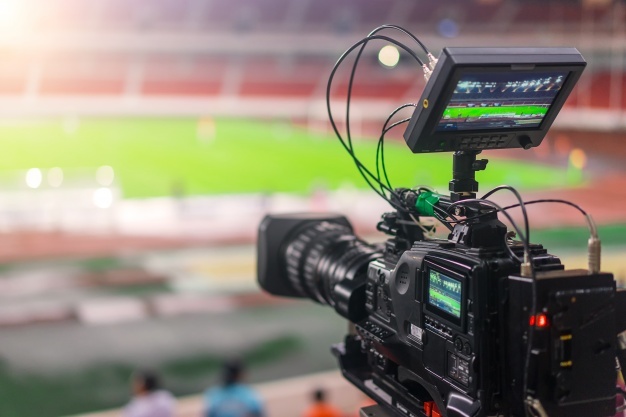 According to the regulator Ofcom subscriptions in the UK for premium TV packages costs more than the rest of Europe, and this premium selection of channels includes sport. BT includes its sport channel for free if you subscribe to their broadband, and in a similar way to Sky’s use of football to drive satellite subscriptions BT is using it to gain broadband market share. The cost the fan who wants to legally pay for all televised football in the UK is staggering. The Daily Mail calculated that in order to watch all football on television it would cost you more than 1000 pounds per year. Even more seriously than the subscription costs is the unintended consequences of these massive broadcasting deals. It has had a direct impact on the cost of match day tickets, and not just at the elite level. In the EPL following several high profile campaigns an away day ticket cap of £30 was introduced, and there have been modest reductions in ticket prices. Below the EPL however without the TV money ticket prices are continuing to rise. The BBC’s Price of Football Survey showed that the average cost of an away day ticket in the Championship is now higher than the EPL. The sheer financial clout of the broadcasters has created more and more barriers to entry. Firstly it is becoming increasing difficult for clubs outside of the elite to meaningfully compete. It’s left to the fans to pick up the pieces and while their loyalty is unquestionable it is not infinite. Second, the broadcasters talk in platitudes of choice, quality and the amount of games on show but only having two regular sources of football are like choosing between Coke and Pepsi. It’s not really a choice at all. Rather than choosing between the two fans are tuning out or refusing to pay and streaming illegally. In this situation no one wins.